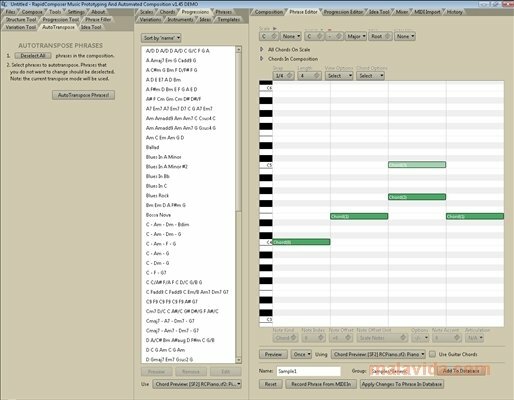 Computer based music has evolved together with the power of the computers, but there are developments, that instead of offering really appealing and easy to use composition environments, include a lot more technical tools to create music, like assistants to develop chords or sentence morphing modes, for example. 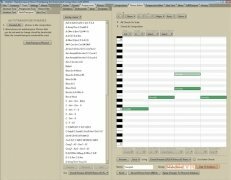 RapidComposer is a program with a rather dull and crude interface, but it offers a very stable environment to be able to sequence audio and MIDI. 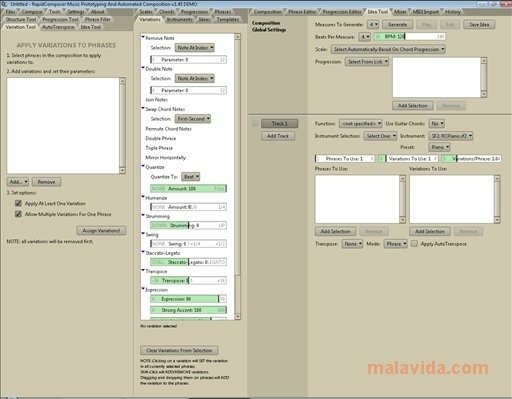 Its interface is based on three blocks from which it will be possible to access the configuration of the application and the instrument selection, to the tools and assistants to compose, and the editing and mixing areas, respectively. - Compatibility with VSTi instruments and SF2 sound banks. - Chords, scale and line libraries. - Support for the majority of sound cards on the market. - Can be controlled by means of a standard MIDI controller. If you like composing music and you want an environment that won't allow you to get distracted while you work, download RapidComposer as soon as possible. 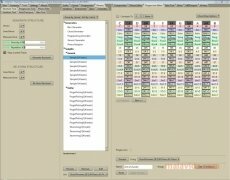 The trial version doesn't allow you to export or save, and the playback stops every 64 beats.